Today’s townland is Galwally. 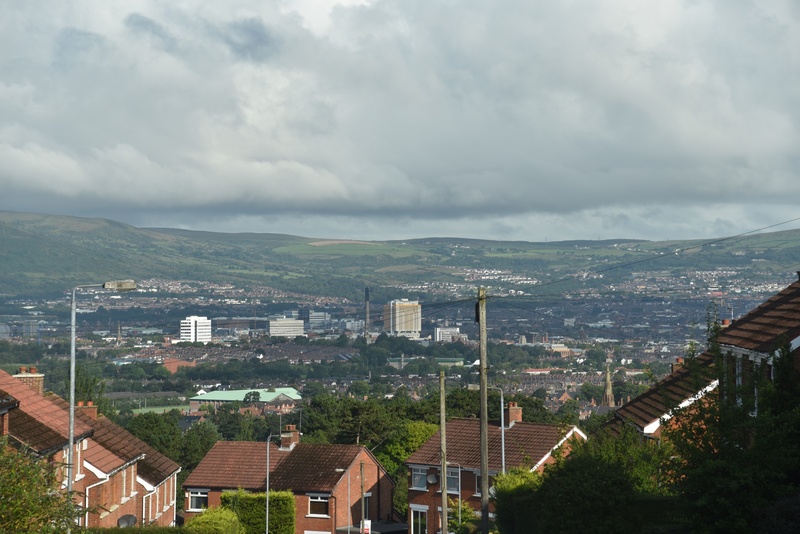 It climbs from the southeastern city streets of Belfast up into the Castlereagh Hills. The lowest point is on the bank of the river Lagan. 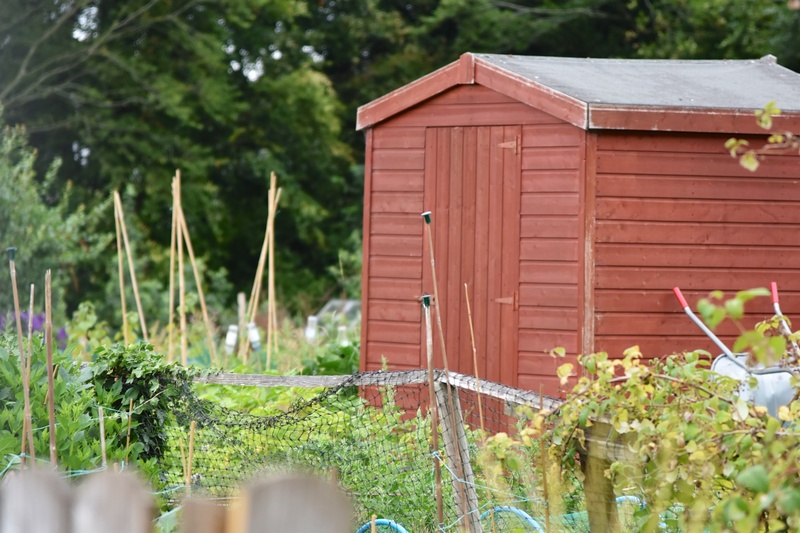 Then come the allotments on Annadale Avenue, run by Belfast City Council. My great-uncle had an allotment here in the 1950s. My mother remembers him bringing home broccoli and spinach for the family to eat. 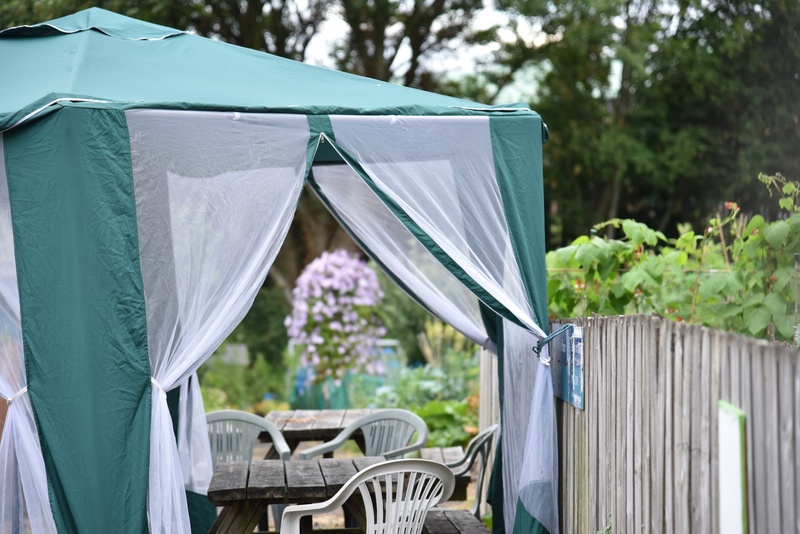 The allotments are run by Belfast City Council, but the local government boundary runs through the townland of Galwally. 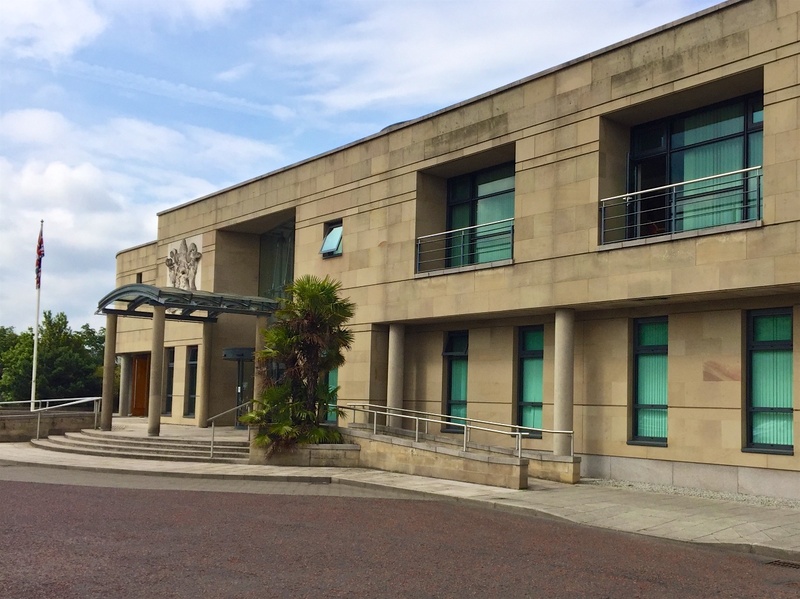 So, although we are a long way from Lisburn, these council offices on the road called Upper Galwally belong to Lisburn and Castlereagh City Council. 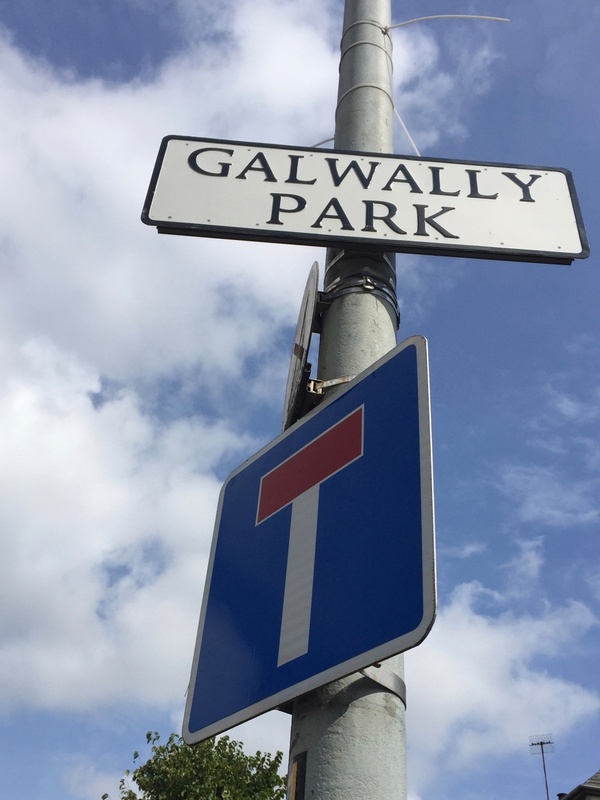 According to PLACENAMESNI, the name Galwally comes from the Irish An Gallbhaile meaning “foreigners’ townland”. Who were the foreigners? Probably the Anglo-Normans. 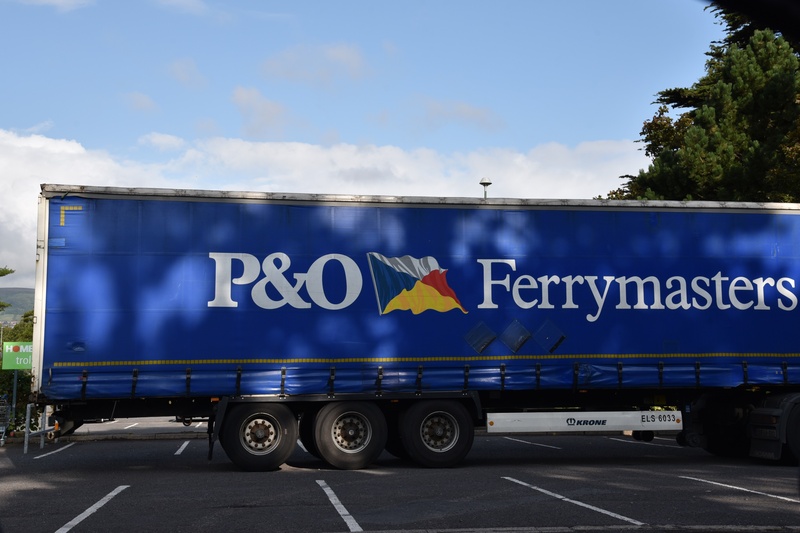 This photo of a lorry in the carpark of the Homebase shop is my best attempt to show a foreign flavour in the townland today. Back to the more local horizon, I followed the townland across the A55 Outer Ring Road and up Mount Michael Park, to capture the view over the city. Which townlands border Galwally? To the east, Ballymaconaghy and Ballynafoy. To the south, Breda. To the west, on the other side of the river Lagan, Malone Lower. TOWNLANDS.IE shows the townland in two separate maps. Click here for the western portion. Click here for the eastern portion.